About Anthony Geering and Puritan Values Ltd. 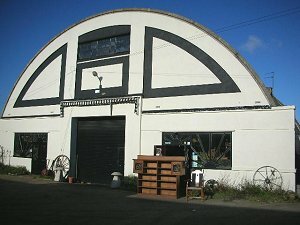 The Dome Art and Antiques and The Arts and Crafts Eco Project. I left school at 16 years of age and began a four year engineering apprenticeship with British Road Services specialising in my final year in Turbine and Turbo Technologies. At twenty years of age I then entered a career in the Oil Industry with Vetco Gray as an Installation and Production Engineer specialising in Wellheads, Completions and Entire Shutdown Systems, later pioneering the SMS systems for National Oil Well. At 24 years old I decided to give up the Oil Industry to pursue a new career in Antiques something I had been interested in from a young age. I often went to auctions as a child with my mum Gloria. They had always fascinated me. This is where the collector in me began and where those first seeds were sown. As a child collecting what most boys did, toy cars and marbles, the latter I still have. My new career got off to a very good start buying and selling at auction, particularly Durrants Auction Rooms in Beccles where I cut my teeth in the world of art and antiques. At that time I also began selling from an area at the back of the Old Rag Market at Brick Lane Antiques market in East London. Driving up from Suffolk every Saturday night I would arrive at around 3am on Sunday morning. This is where my new apprenticeship began and where over the next seven years I began to learn how the antiques world worked. Brick Lane was a magnet to me, come rain or shine I was there, I learnt so much from the Old School dealers of the time, they were so helpful and I still have many friends from those early days. When I began to deal in Antiques I noticed a huge opening in my area in House clearance. There was no real service in my area at that time except the auctions and within no time I was inundated, often doing two house clearances in one day. The house clearance work was very hard, yet so rewarding not just with what I found but the wonderful people who were so generous with their knowledge of the pieces they had owned throughout their lives or grown up with. The more I began to understand the world of antiques. As I learnt more I began to realise that I was naturally drawn towards items from The Arts and Crafts Movement. I began to study the period, researching pieces I had purchased and it soon became clear that The Arts and Crafts Movement was to become my life's passion. It is always so interesting, I am learning all the time, you never know what you might find and I love the hunt. It reminds me of when I was a young boy hunting for treasure with my brother Chris how fond those memories are and once in a blue moon the treasure arrives at your door. We restore the furniture sympathetically with expert understandings of the woods tools and finishes used from those Periods. Stan has been restoring furniture for over 40 years and we all share enthusiasm and passion for our award winning work. and recently Salvage Hunters with Drew Pritchard for Quest TV. Tony is currently a specialist dealer appearing regularly since the summer of 2011 with DAVID DICKINSON'S REAL DEAL for ITV. Tony Geering co-presenting Kirstie's Home Made Homes on Channel 4. Ancient and Period Property Restoration Ltd.
A complete Design Company working with strict Aesthetic indication to the property's original style and can extend, rebuild, restore, refurbish and re-instate original features, locating them through reclamation networks. From initial quotations to complete design and management of a project. Please follow the accommodation link to see the finished restorations of The Old Post Office. Accommodation Do follow this link below where you can view more images particularly of an unsympathetic 1970's extension which we partly demolished and rebuilt in a sympathetic style adhering to details and features to compliment The Old Post Office and in keeping with the original design. We supply to Museum and private collections around the world including the film and TV industry. The National Trust for two William Morris museum/houses and Sutton Hoo. 'Blackwell' a magnificent house designed by M.H.Ballie Scott over looking Lake Windermere with interior work by Arthur Simpson of Kendal one of my favourite furniture makers and designers. Liberty and Co of Regent Street supplying them for over 20 years with original Liberty pieces including 18 of their yearly exhibitions. Puritan Values opened at The Dome in January 1998 occupying the former Drill Hall which was built in 1926 at the height of the roaring 20's. This wonderful historic Art Deco style building still echoing the Charleston dances and cocktails of that period which we extensively restored. Robert Macgregor and I, a former craftsman who was a big part of Puritan Values in the beginning, installed an original Art Nouveau staircase which was salvaged from a large London tenement in Chelsea, which we restored and modified slightly to fit into the Dome. We also retained the original pine Tongue and Groove panelling which covers the entire interior walls and ceilings of the building and made it what it is today, injecting new life into this run down almost derelict building which when I took it over was flooded with two inches of rain water on the ground floor area. The Dome has over 13,500 square feet of retail space filled to the brim with original pieces making it the largest collection of Arts and Crafts and Decorative and Important Works of Art for sale in the British Isles. There is usually only around 50% of my current stock on the website at anyone time, so if you are looking for something in particular then please browse the website and feel free to e-mail me with your requirements and I will look to see if there is something perfect for you.